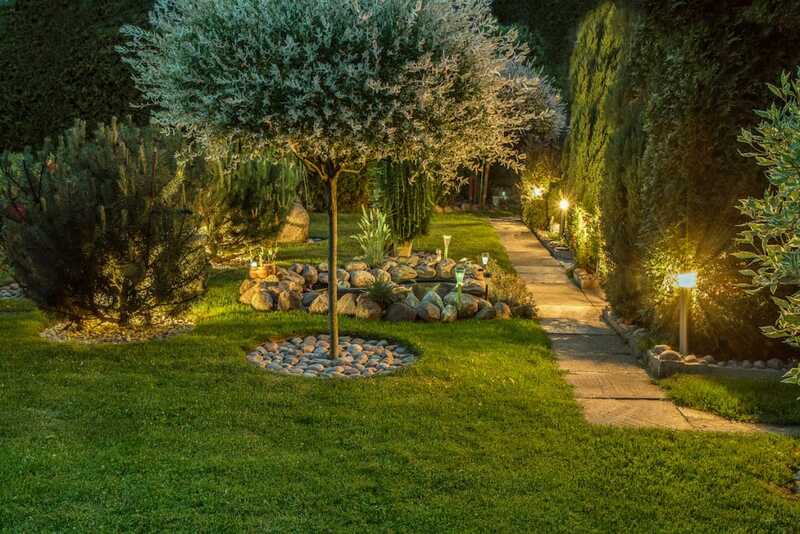 Illuminating your property with landscape lighting is a big decision that can vastly improve the look of your outdoor space and allow you to get far more use out of it – no matter what time of the day it is. Choosing the right lighting and getting it up and running, though, is just the beginning. You want to make sure that you and properly maintain your new lights so that your property will remain well-lit for years to come. Know Where Your Lights Are. Your lighting isn’t always going to be obvious. After all, you want your landscape to emit a natural glow. Talk to the experts who install your lighting to make sure you know exactly where your lights and any other equipment are being placed. Lights are most commonly broken by lawnmowers, so knowing your lighting plan will help you communicate to your family or any maintenance staff where to be careful when cutting the grass. It is also important for your children to avoid playing around areas with fragile lights that could be broken by sports equipment (or by tiny feet and hands). Opt For Lighting Without Cords. Not only will cords take away from the aesthetic appeal of your yard, they can make it dangerous – and expensive – to actually get out and enjoy the space. If you have cords, there’s a greater chance of tripping and falling, and possibly even damaging the lighting itself if anything is ripped, cut, or pulled out of place. When you are looking for lighting, find options that do not require cords or wires hanging around your yard. Lighting experts can also strategically place lights so that you do not have to worry about plugging anything in or roping off areas where people could get tangled in extension cords and fall. Consider Sustainable Energy Sources. It’s not only a pain to consistently replace the lighting around your property, it’s also unsustainable, and can quickly get expensive. Luckily, there are ways for you to light your property with energy forms that are gentle on the environment and easy to maintain. 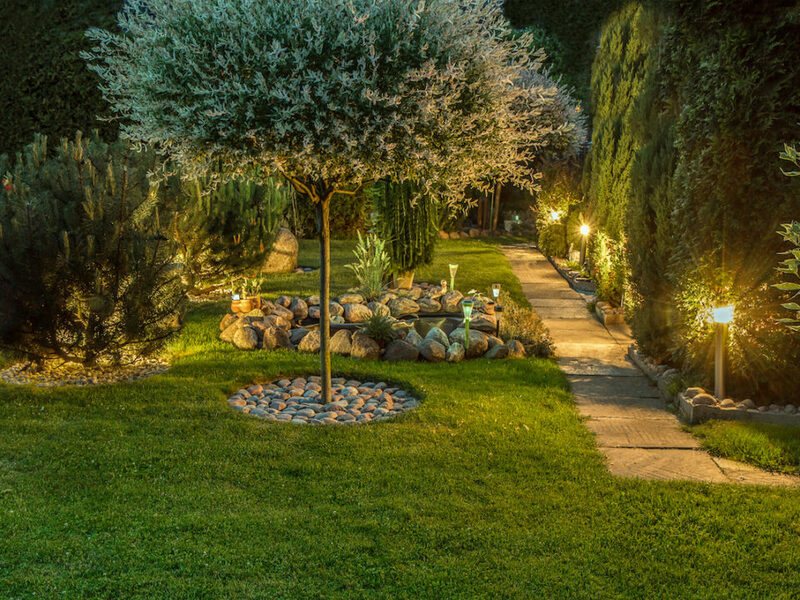 Consider LED lighting, for example: choosing LED bulbs for your landscape will lower your costs, reduce the amount of heat produced by the lights, and require less energy to light up your property. 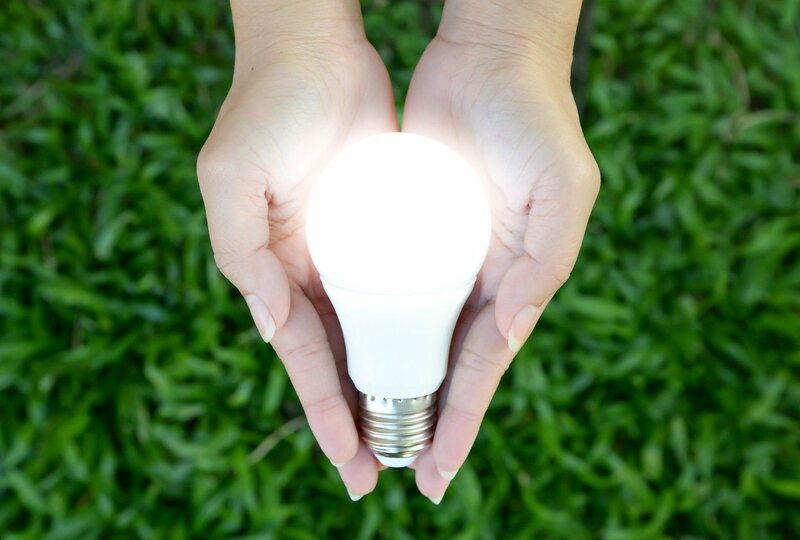 LED bulbs can even be powered by solar panels that are placed discreetly throughout your yard so that your energy bill won’t be impacted. Talk to your lighting professional about the possibility of using LED light bulbs and solar panels to maintain a sustainable and eco-friendly landscape. Know Your Maintenance Priorities When Picking Materials. 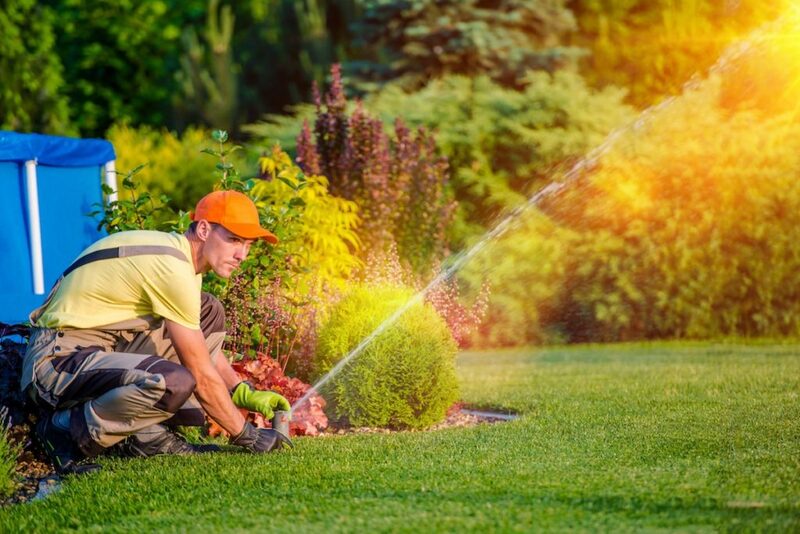 All of the materials you use to light your yard will be a factor in the maintenance required for your landscape. In our coastal area, it’s very important to protect against the salty, humid air. 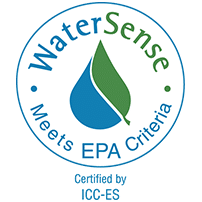 Keep this in mind when discussing the materials that will be used to light your landscape, as well as any sort of protection that can be installed to keep lights from corroding and affecting the quality and effectiveness of your lighting system. Brass and copper lighting are going to be your best bet for keeping your lights safe from corrosion in our salty air. If you do know that your lights will contain metal and are subject to corrosion, make the maintenance and de-rusting of your lights a priority when you take care of your lawn. Talk To Lighting Professionals about Maintenance Options. Depending on the services and equipment you purchase and the professionals you choose to work with, you may not have to worry about maintenance at all. 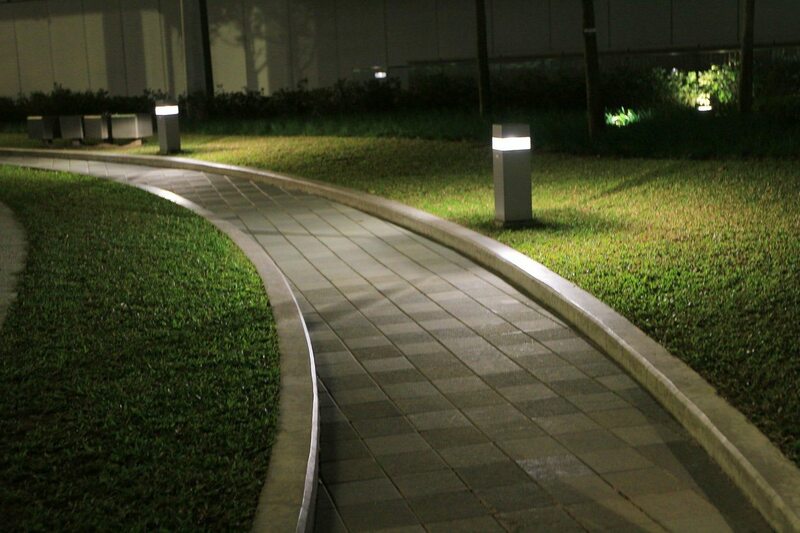 Consider post-installation services while you are shopping around for professionals that offer landscape lighting. What maintenance services are guaranteed with your contract? What repairs are offered, and at what cost? 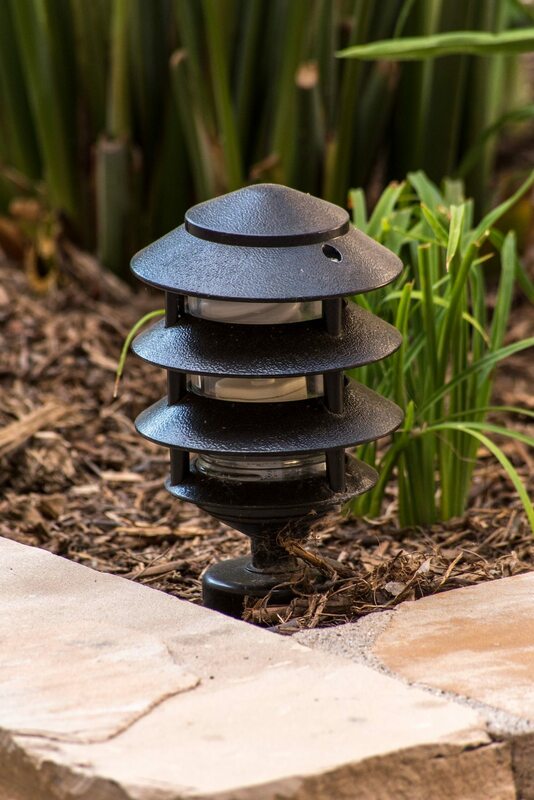 The experts at Sunrise Landscape Lighting believe that proper maintenance should be a part of any landscape lighting plan, and that it starts with the system you install. That’s why we always strive for designs that help you to avoid the use of plugs and extension cords, and work hard to choose materials that are sustainable and easy to use. 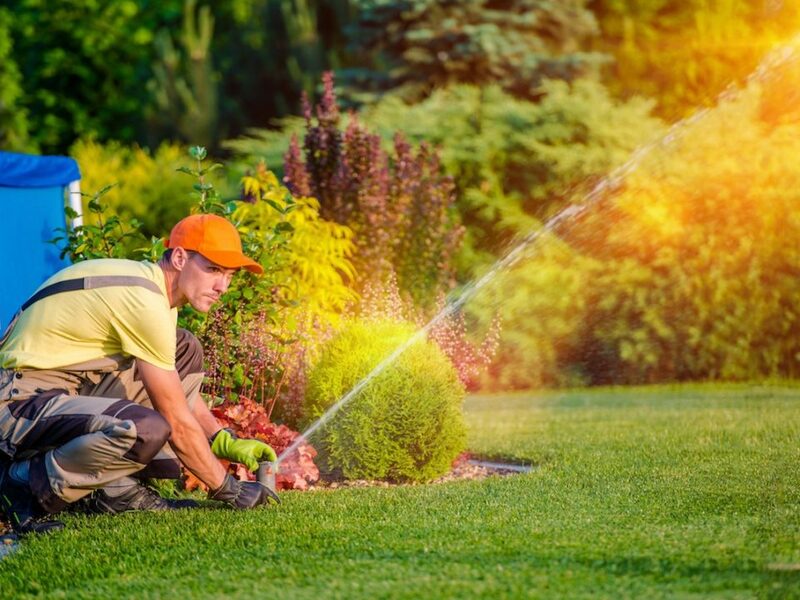 Beyond this, we offer maintenance plans that make it easy for your family to enjoy your landscape to its highest potential. For more information on how we can make your yard shine bright, get in contact with us today.